Hurray!!! Another new year has been loaded. A year that is far beyond the ordinary. A year of Super Conquest. As the Year 2016 finally becomes history, we are taking this moment to thank everyone of you for your support, comments, encouragement and readership. We are looking forward to a wonderful partnership with you as the 2017 loads fully. As we intend to make this platform bigger, we will need you in one way or the other to achieve this. Through sponsorship, advert placement and partnership, we can take this platform to heights never envisaged. Thank you once again for being there. Without you we wouldn't have come this far. With you, we are going to the next level. HAPPY NEW YEAR to you and your family once again. God bless us all. 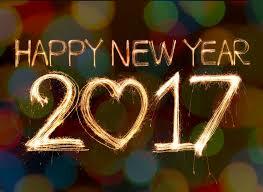 Please you can also share your New Year messages with other readers using the comment box.